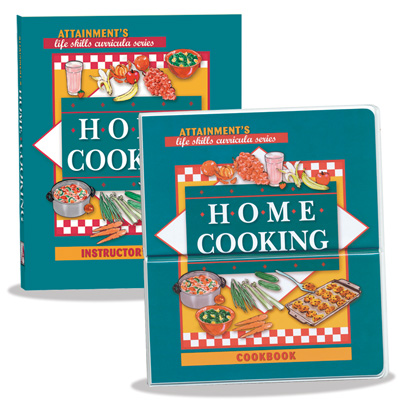 Home Cooking includes full-color illustrated, step-by-step cookbook for non-readers using lots of fresh ingredients and an Instructor’s Guide with lesson plans. 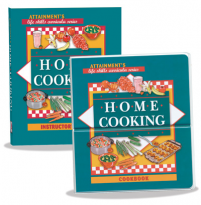 The Cookbook includes 37 healthy, easy-to-prepare conventional and microwave recipes, printed in full color. 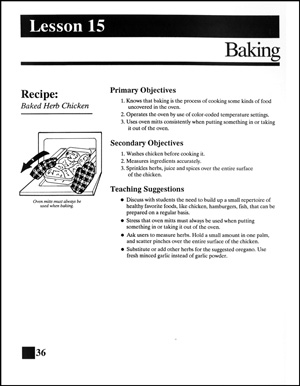 Recipes are illustrated step-by-step in easy-to-follow one or two page formats, and organized by Main Dish, Side Dish, Vegetable, Salad and Dessert categories. 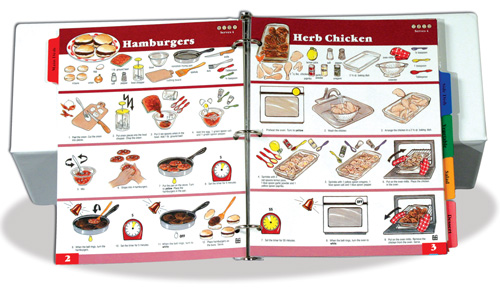 Cookbook pages are laminated for protection and displayed in an easel binder for easy viewing. Color coding system helps users measure quantities and match temperature requirements. The Instructor's Guide provides 38 lessons with objectives and training suggestions. Each lesson focuses on specific kitchen skills, food and nutrition information, or making complete meals. 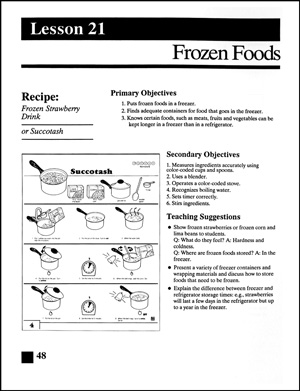 Resource file pages contain a reproducible section on meal planning and photocopiable versions of all 38 cookbook recipes plus 15 supplemental recipes. Cookbook, vinyl easel binder with 58 laminated pages. Instructor's Guide, spiralbound book, 172 pages. 1992, 2006.